Chiropractic myths are all over the place! 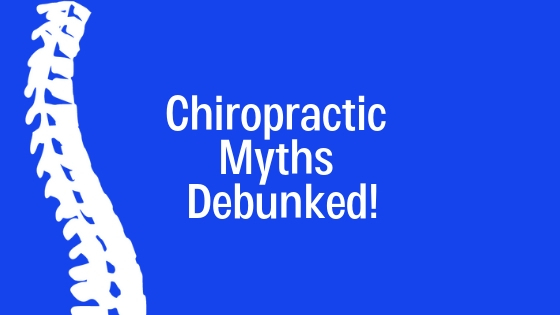 In this blog, we will go over some of these myths and shine some light on the truth about chiropractic care! One widespread misconception is that chiropractors have less schooling than Doctors. In fact, the opposite is true! One study revealed that Chiropractic students actually receive more college hours than med-school students. They also must complete a residency with real patients, supervised by licensed chiropractic doctors. This is a chiropractic myth that we’ve all heard! When in truth chiropractic care actually alines your body and relieves pain. Most patients describe their pain being dramatically reduced or even neutralized all together. At most, patients will describe minor headaches or some soreness. This is a relatively common myth about chiropractic care that simply isn’t true. Chiropractic practice provides a natural remedy for pain relief without using potentially dangerous drugs and surgical methods. The fact is that chiropractic care is actually much safer than surgery or painkillers. Many health professionals will recommend seeing a chiropractor before deciding on a surgical procedure. It is considered one of the safest treatments available! This chiropractic myth comes mostly from folks that don’t understand what chiropractors actually do. While steroids and other medications can be essential in certain situations, many people rely on them first rather than focusing on the root of their issue. Chiropractic care is all about addressing the source of your pain and actually healing you, rather than just dealing with your symptoms. Our team at Arkansas Chiropractic is here to help you with everything from healing your invisible injuries, to boosting your legal claim! Our staff and doctors are the best in the game. Schedule an appointment today!